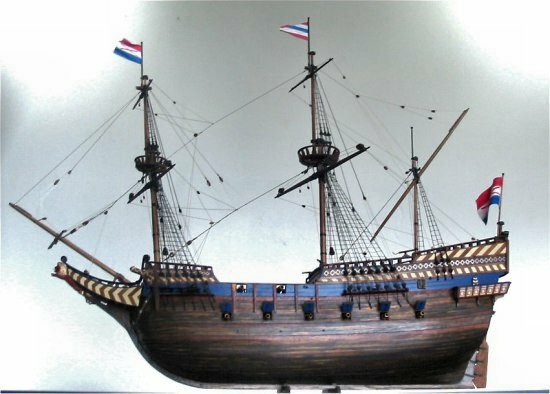 Dutch Galleon - Full broadside, all sails aloft. Galleon with sails set. Yard are braced at a little less than 15 degrees to create a more natural sailing look, also allowing easy viewing of deck details, masts and rigging. Galleon without sails. 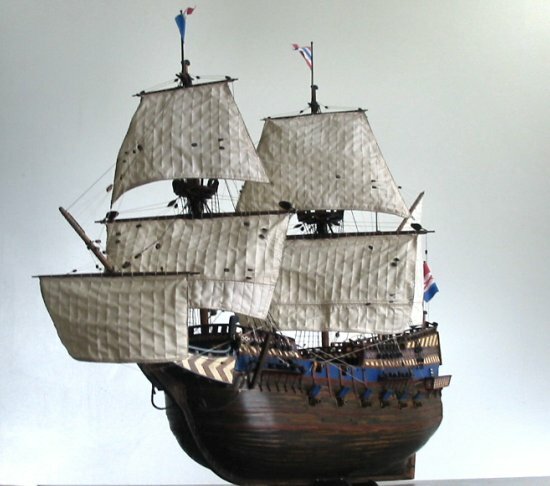 Preferred by some, since details such as the hand-carved figurehead, deck furniture, rigging and masts are viewed easier.